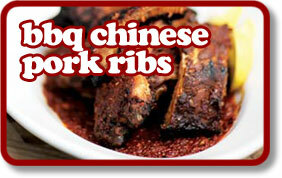 A delicious and simple marinade for pork ribs. I made this in the morning and when the time came in the evening these ribs were full of flavour and ready to hit the barbecue. Combine all the ingredients together and leave, covered in the fridge for at least an hour or overnight. Preheat your barbecue, place the meat on the grill and cook for up to 20 minutes until crisp and cooked through. Rest on a plate for 2-3 minutes. Dilute the remaining marinade with 1/2 cup water and simmer gently for 5 minutes, pour over the ribs then sprinkle over some spring onions and sesame seeds if you’re into garnishing.